Telemedicine is the fastest growing area within the healthcare industry. Over 100,000 telemedicine consults are provided each month to members in all states in the US. Patients who need access to affordable, convenient, quality care are able to receive care on-demand by contacting WellVia 24/7 365. 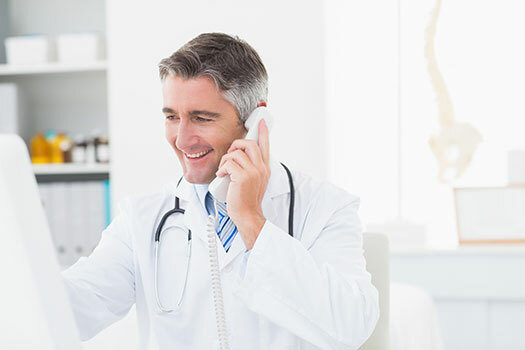 Through the use of a telephone or computer, patients are connected directly to a board-certified physician within a few minutes of requesting a consultation. The satisfaction rate is over 95%, and members report that their medical problem has been resolved, thus not requiring further medical help over 95% of the time. The convenience, quality, and affordability of telemedicine is only part of the remarkable increase in utilization of the service. Nearly 40% of emergency department patient visits could be effectively treated by telemedicine, without a change in quality. Thus, patients receive great care at a reduced cost and with extraordinary efficiency. It is truly a win-win-win for all. Grow your income by practicing medicine from your home or office. Provide members access to easy and convenient care. No billing required or administrative headaches. We cover your malpractice tail coverage. Access to a dedicated Physician Management team.